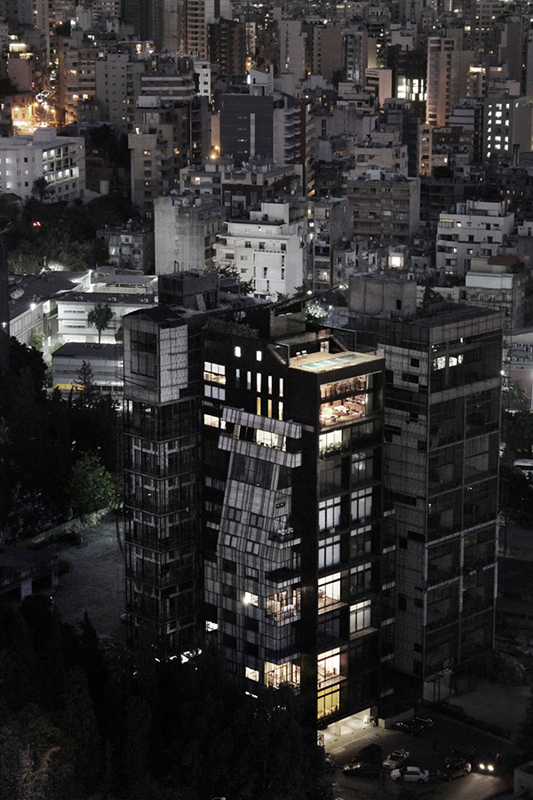 Over the years, the mark of war and violence is still evident in the city of Beirut, Lebanon. We can see that around the city even if it has already stood up and started developing. We can see many building constructions going on and of course some skyscrapers too. 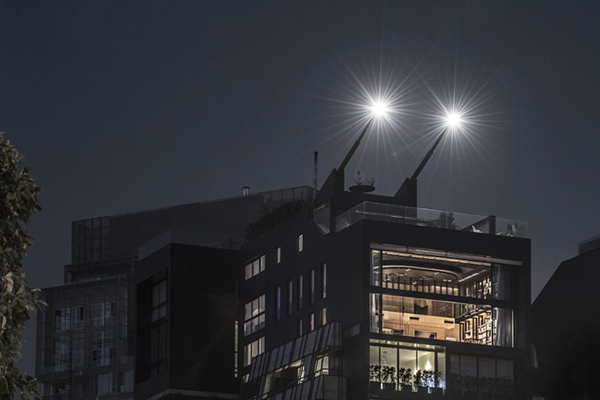 As the place begun turning into a city that everyone wants to live in, more and more improvements are coming in not just for commercial structures but even for homes. One concrete example of that is the N.B.K. Residence 2. 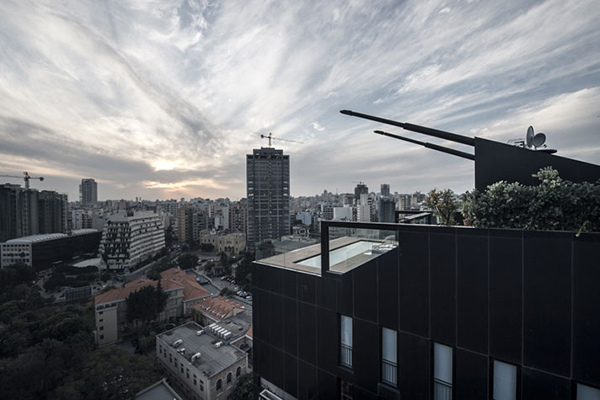 The residence is perched atop a nine-storey building of the Green Line. It spans three levels which actually appears like an independent structure stacked on top of an existing building. 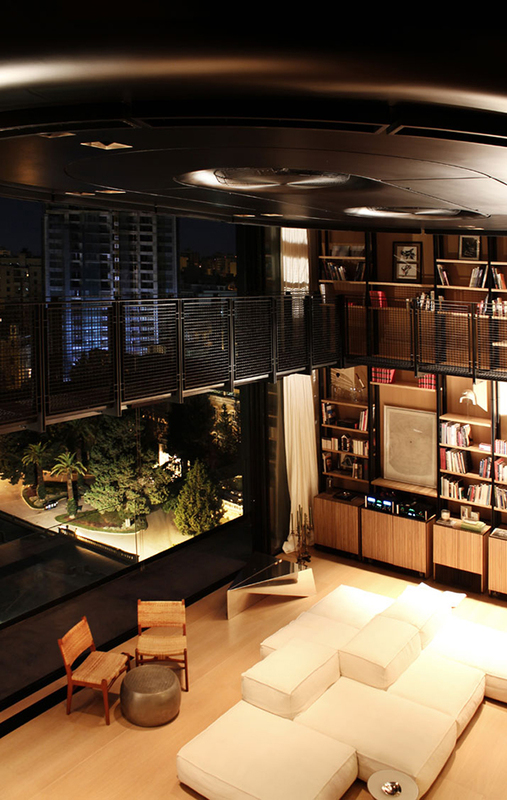 The first floor contains the living room and a mezzanine with a double-height ceiling. On the topmost are of the building is the guest house, maid’s room, swimming pool and roof-garden terrace. 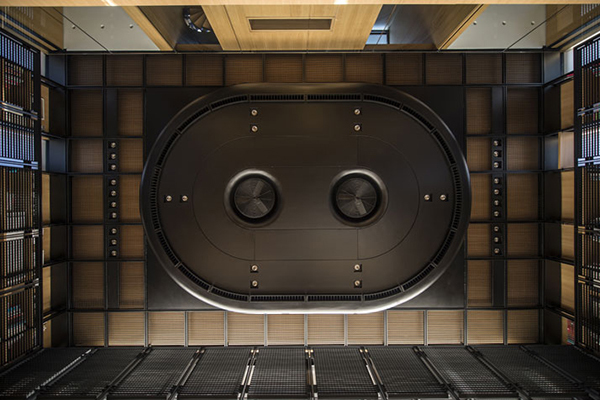 The highlight of the residence aside from its unique facade is a machinist-looking structure embedded in the ceiling of the living area. It actually contains everything needed for ventilation as well as air-conditioning. I know you are excited to see the residence. So, come take a look. 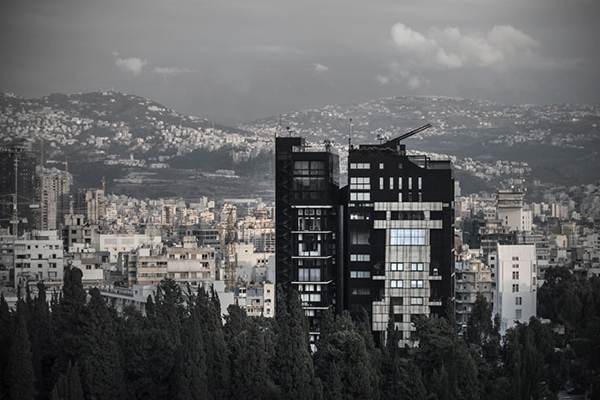 Lebanon has may tall buildings in the city but of course, like other cities, there would be some that stand out like this residence. This machinist-looking structure on top of the building is an interesting feature. And yes, the pool area and roof top courtyard is a lovely too. When I first saw this, what came into my mind is a tank. Queer idea indeed but a total head turner. In the interior, it used earth tone color palette using wood and other materials. There are many interesting pieces in the house just like one chair comprised of pentagons. 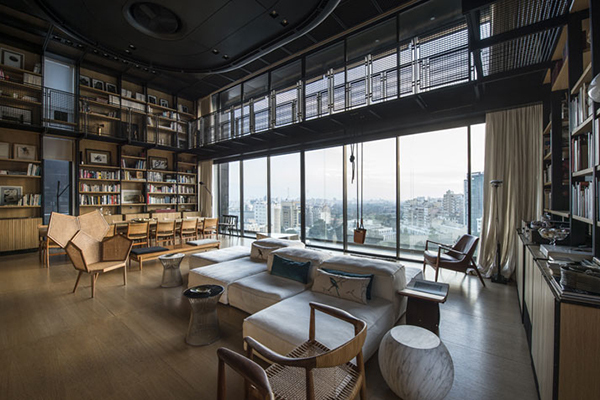 The living area has a double-height ceiling allowing it to contain a mezzanine. With the looks of it, a folding doors can be slid into the area to close it. And we were right as we can see how it looks when closed. On the walls of the interior area shelves that are graced by books and other displays. An eclectic mix of furniture is used in the area but looked coherent in style. Steel is used for the mezzanine. For this area, you can get a good look of the city’s panorama. The interior is like a mix of modern and industrial design. Well, both worked pretty well! The ceiling of the residence looks like this. It is comprised of equipments for lighting and ventilation. Looks totally industrial indeed! On the topmost area, you can find this pool where your ceiling is the vast blue sky. 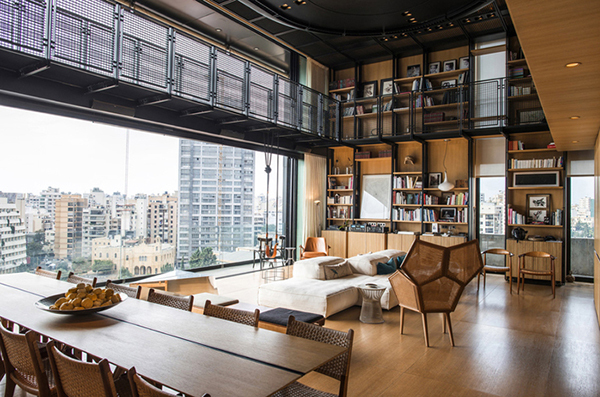 It used wooden panel cladding to cover interior floors and walls in collaboration with carpenter Doumit Tannous. 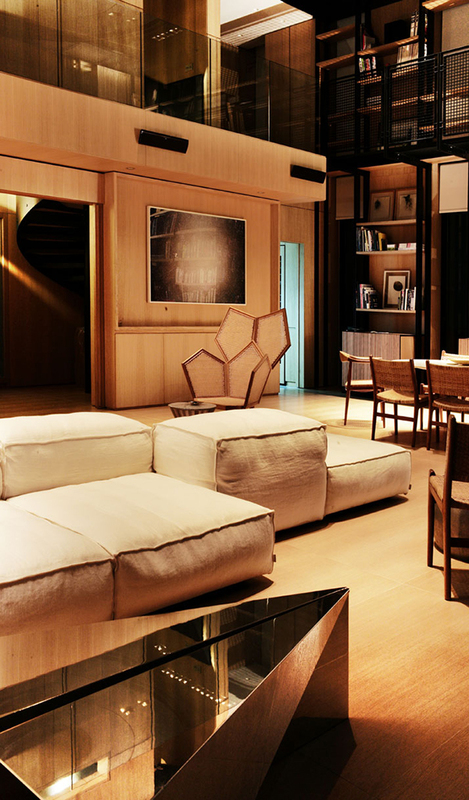 The presence of wood in the house is complemented with the use of black-painted steelwork. 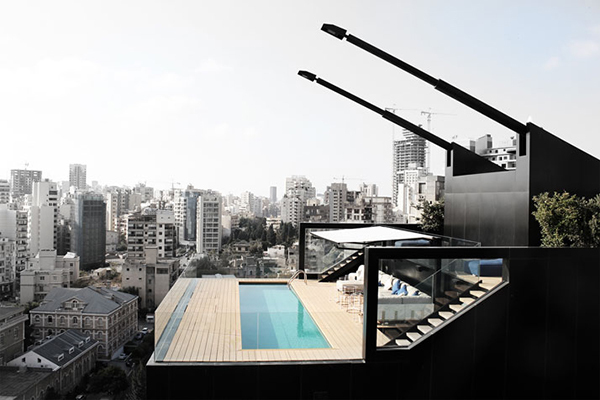 Viewed from this area, the residence is indeed a gem in Lebanon! 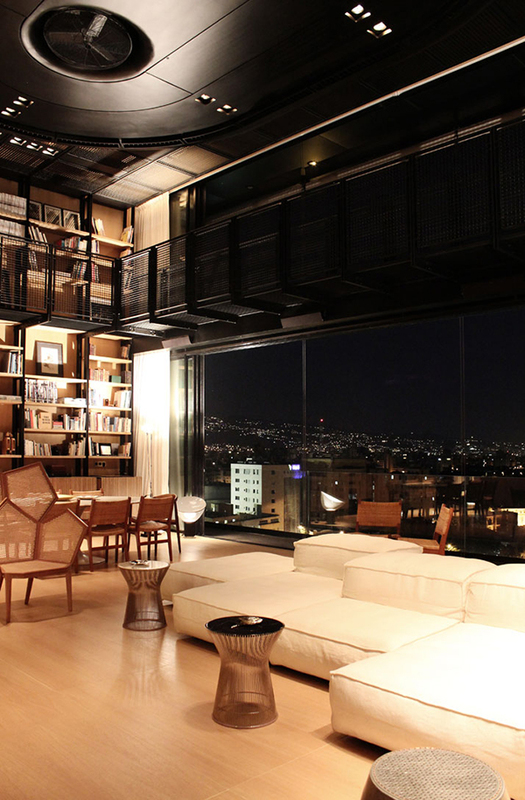 One last look at the home’s interior where one can get a good look of the city lights. It is indeed a unique dwelling! 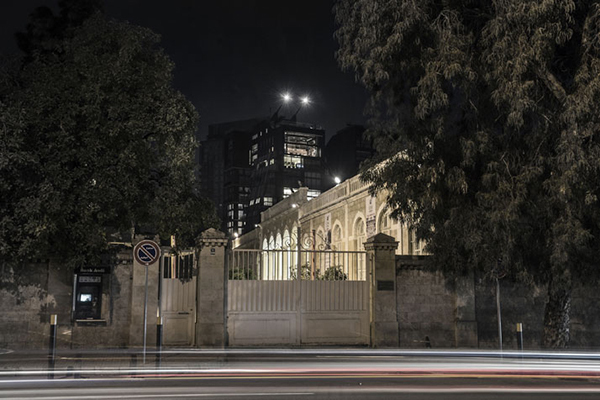 The look of the residence is something that would remind us of what had occurred in Lebanon’s history as well as some current situations in the area. 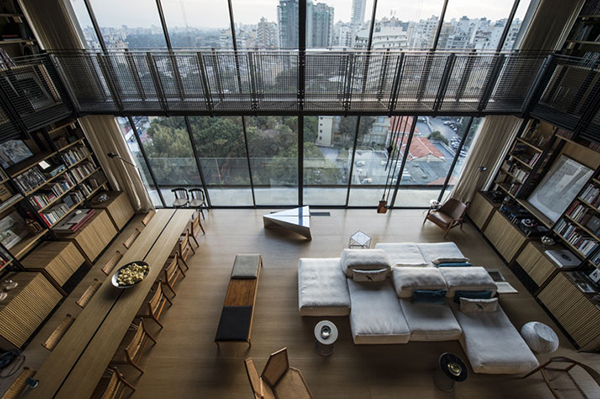 The residence is owned and designed by Architect Bernard Khoury of DW5 Studio. 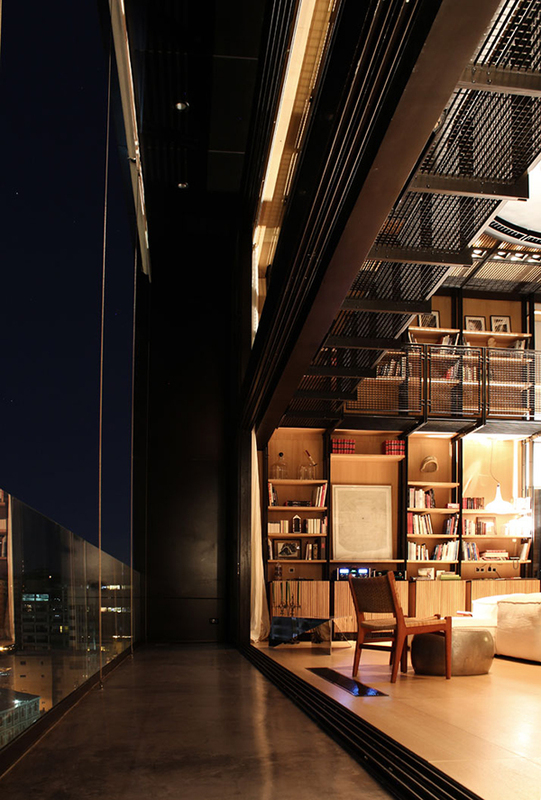 Yes, this is an architect’s space. I would definitely give him a standing ovation for this design especially for the machinist-looking ceiling! It is made of plaster and is painted black to match the surrounding steelwork.